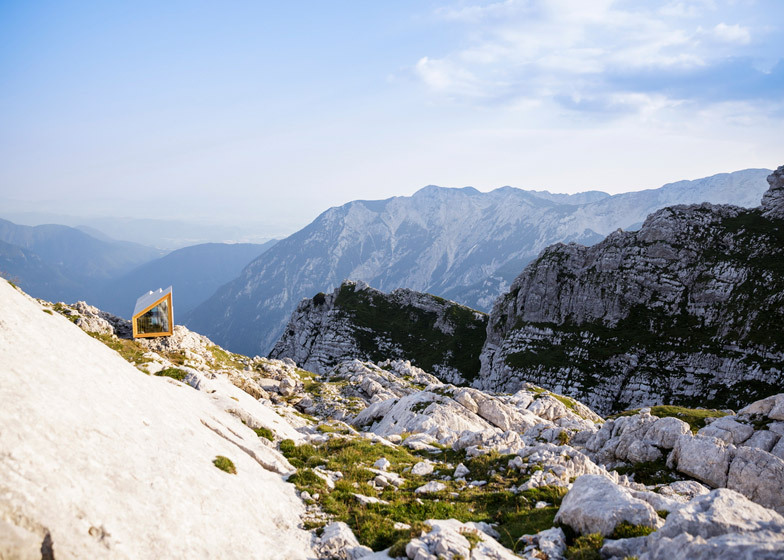 Airlifted into position by the Slovenian army, this tiny Alpine shelter perches on a rocky outcrop below Skuta Mountain and can sleep up to eight mountaineers (+ slideshow). 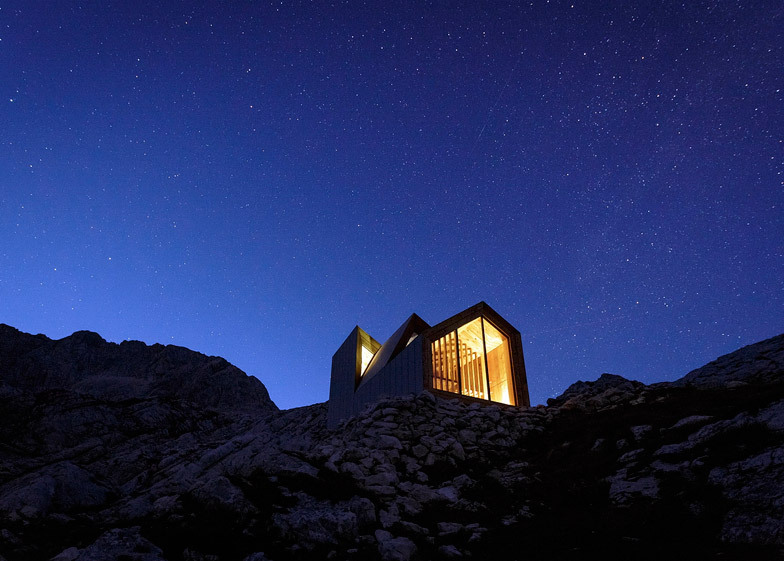 Informed by traditional Alpine architecture, the concrete-clad cabin takes on a pitched-roof form and has glazed gables that give vertiginous views of a Slovenian mountain range. 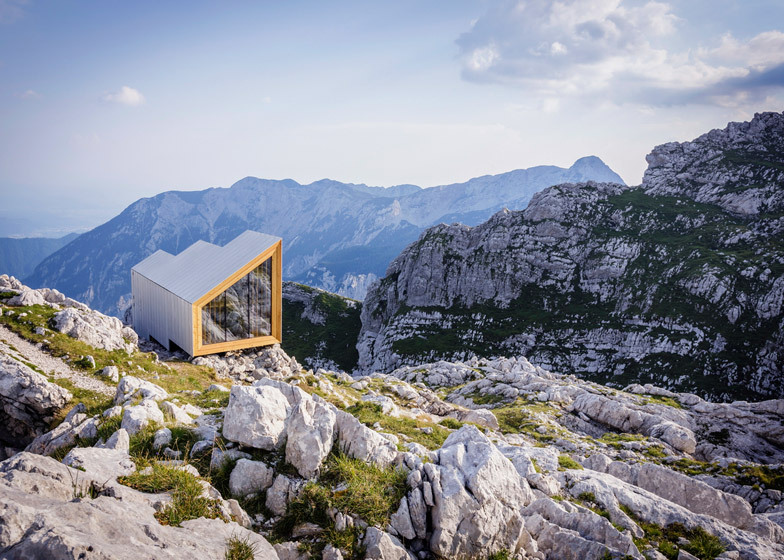 Alpine Shelter Skuta was designed by Harvard University students during an architectural workshop hosted by Rok Oman and Spela Videcnik of Slovenian studio OFIS. 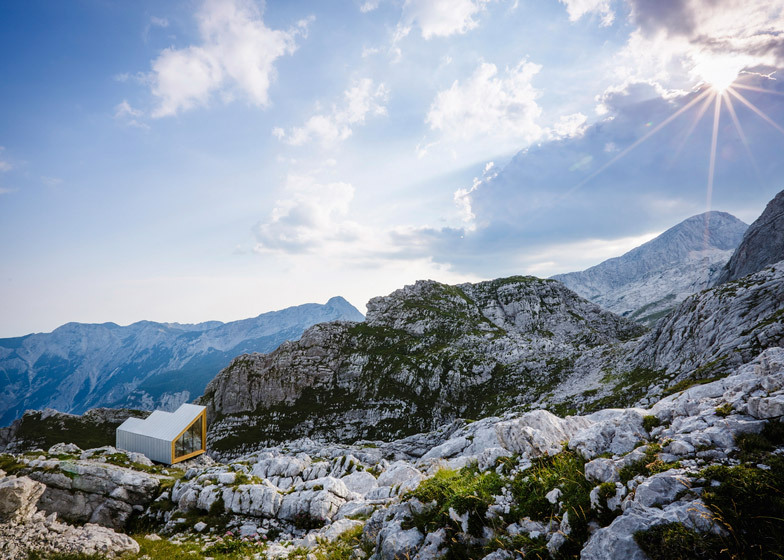 Oman and Videcnik asked small groups of students to design cabins to withstand the harsh Alpine climate during their Habitation in Extreme Environments workshop. 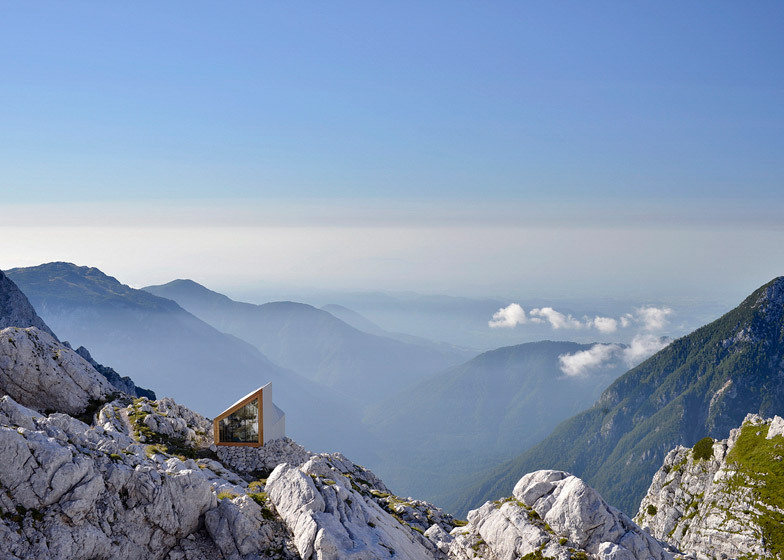 A proposal by Frederick Kim, Katie MacDonald and Erin Pellegrino was selected to replace a 50-year-old storm shelter on a plot below Slovenia's Skuta Mountain – the third tallest peak in the Kamnik Alps. 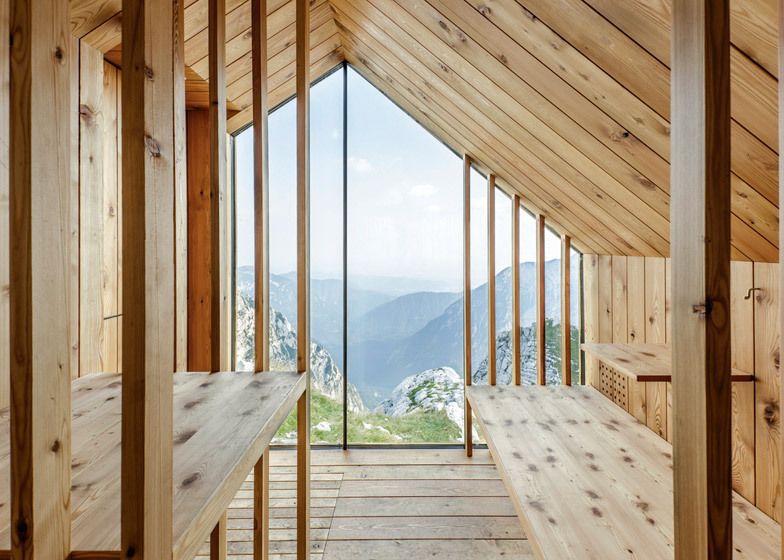 OFIS – whose previous projects include shingled ski lodges and timber-clad holiday homes – worked with structural engineers AKT II and local mountaineers to develop and adapt the structure for the mountainous terrain. "Inspired by the vernacular architecture of Slovenia with its rich and diverse architectural heritage, the students produced 12 proposals meeting various site conditions, material considerations, and programmatic concerns," said Oman and Videcnik. 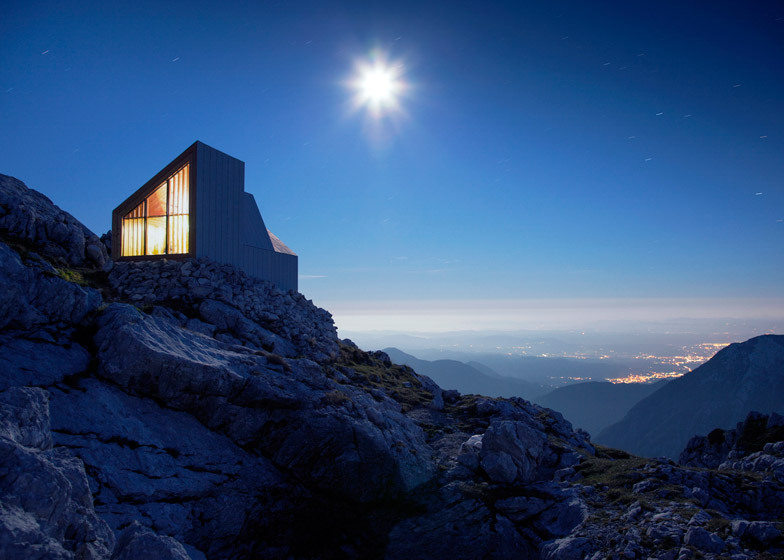 "The extreme climatic conditions in the mountains introduce a design challenge for architects, engineers and designers. Within a context of extreme risk to environmental forces, it is important to design buildings that can withstand extreme weather, radical temperature shifts, and rugged terrain." The structure was built off-site and transported in three sections via helicopter to minimise disturbance to the plot, and installed in just one day by a team of 60 volunteers. Anchored to the rock using metal joints, it is clad in glass fibre and concrete panelling, and has triple-glazing to help it withstand the strong winds and snow drifts that are common in the region. 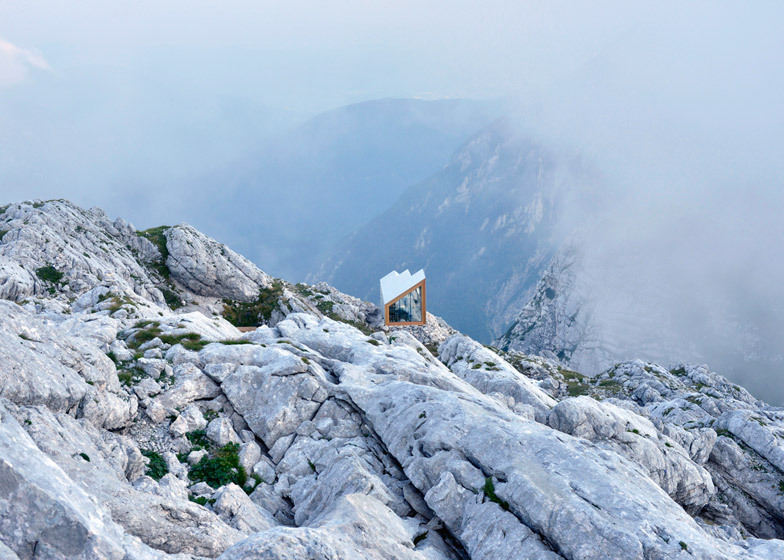 "The bivouac [shelter] is an object that represents a basic human necessity," said the architects. "It is a symbol of refuge." 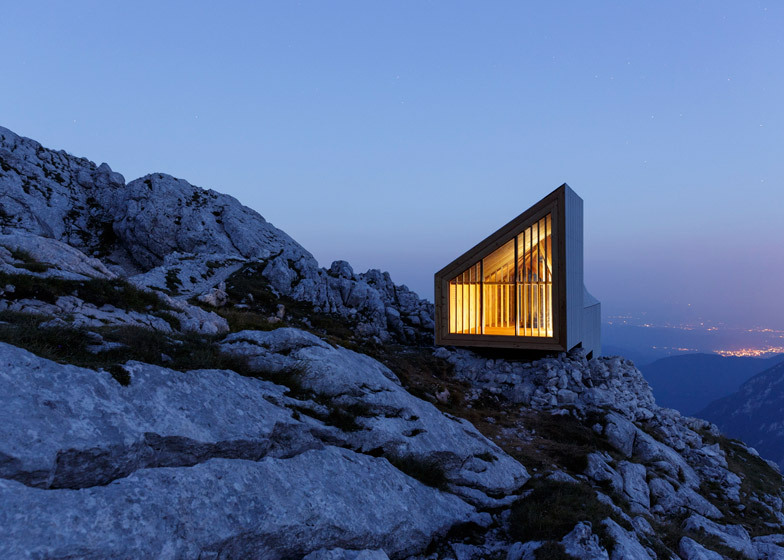 "The outer form and choice of materials were chosen to respond to the extreme mountain conditions, and also provide views to the greater landscape." 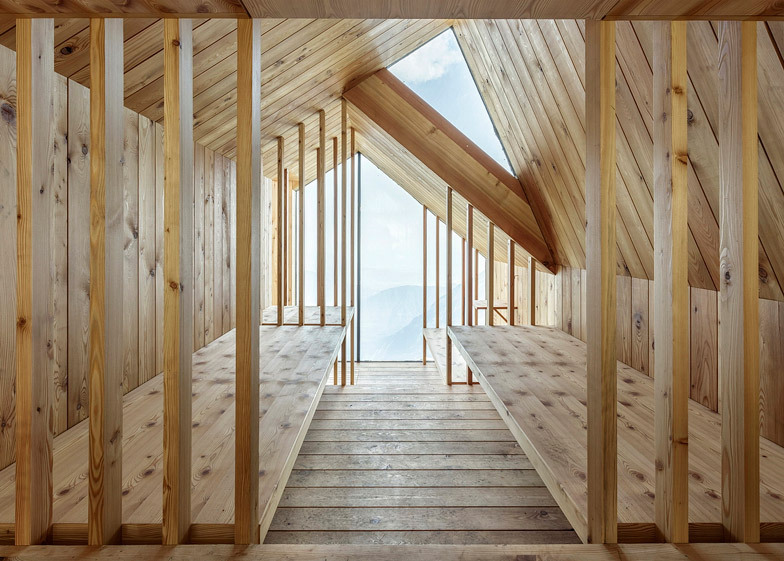 The cabin comprises three timber-lined sections that decrease in scale towards the edge of the mountain, creating a stepped roofline. The first module provides an entrance, storage and an area for food preparation, while the second provides a place to sleep and socialise. The third contains bunk beds. "All would agree that, despite the small size, it was no less demanding than any large building project," said the architects. 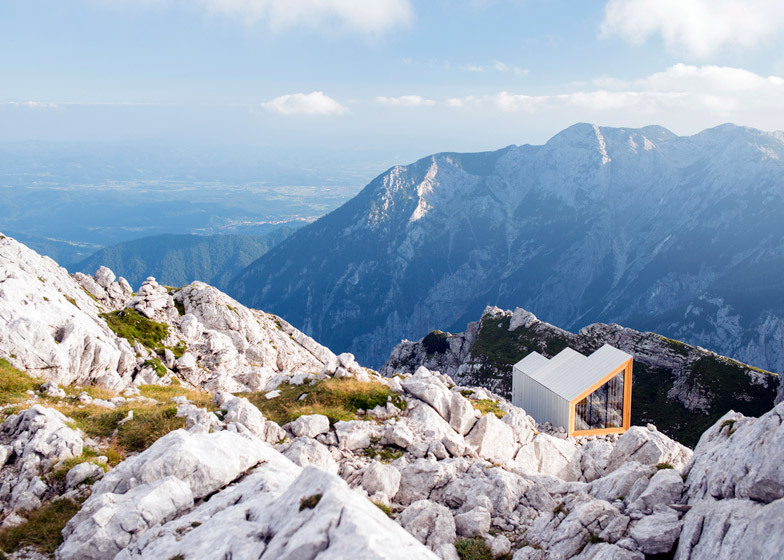 "However, all of the effort and planning for this small scale project is meant to keep the memory, spirit and culture of the mountains as a special place for Slovenians." "The hope is that the bivouac will serve as a shelter for all of the climbers who need it, and that through their care and attention the bivouac will continue to do so for many years." , Andrej Gregoric, and Janez Martincic.